Join Dom Bilkey and his team at the NT studios for a first in theatre sound! Ever wished you had a friendly expert you could ask about that little quirk in your system that just won’t budge? Join the sound team at the NT and ask them everything you ever wanted to in a relaxed environment and solve your issues together. Networks driving you round the bend? Want to talk through a problem that just won’t budge? All of these questions and more can be answered by members of the National Theatre sound team. Dom will be available from 10am- 3pm on August 23rd at the NT studios. Reserve your place here, then email admin@associationofsounddesigners.com with your questions and let us know a time that suits you, we’ll confirm your slot, then just come along on the day and get to the bottom of your sound foibles. It's not essential for you to let us know your issue in advance, but we recommend it to help us to prepare any equipment/demonstrations. 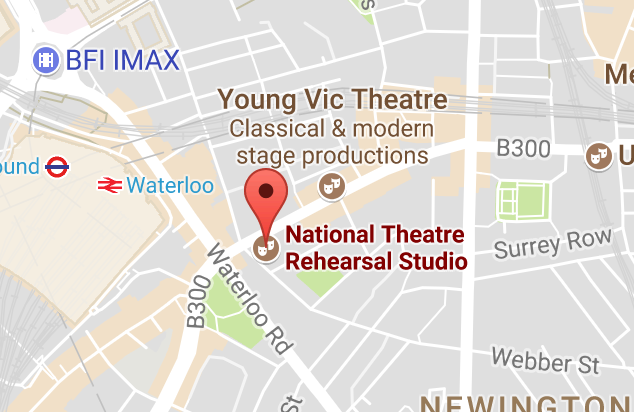 Sessions will be held at the NT Studios, these are not part of the main NT building, here is a link to Google Maps.